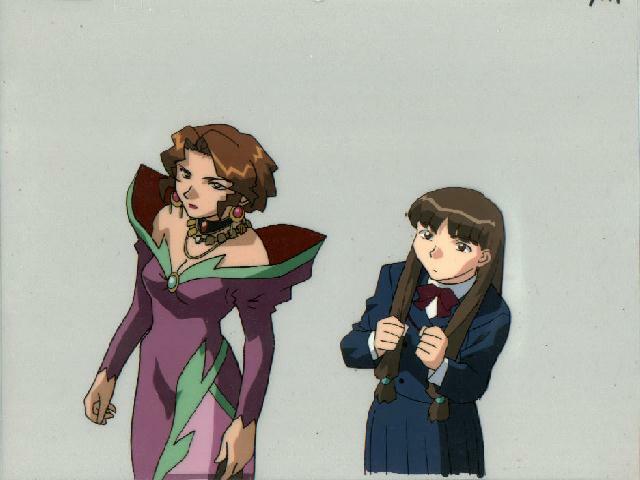 MITSUKI & MRS RARA - Beautiful 3 layered Cel!! 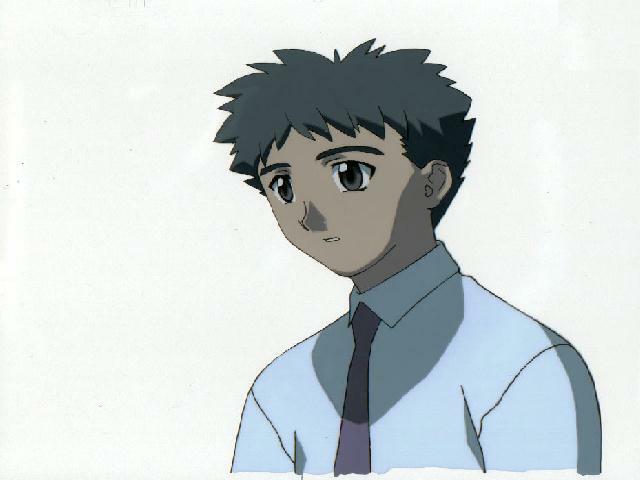 KAZUKI - It's hard to tell which scene this is from, since Kazuki usually looks upset. It looks awesome in person anyhow! D - Up close & personal. She looks concerned, so this is either from a battle, or one of her "visions". 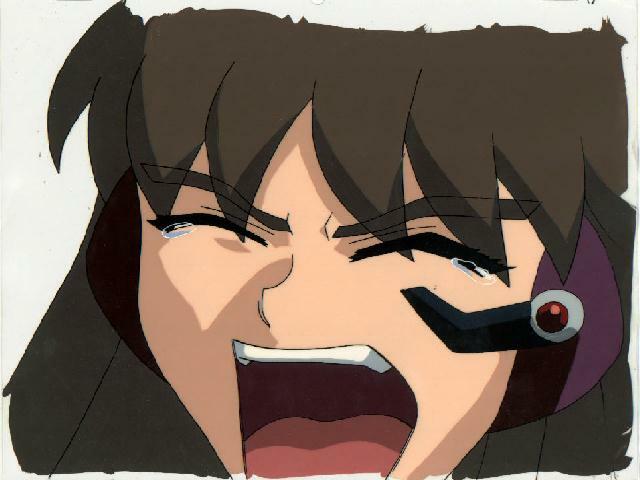 MITSUKI - Awwwww....she's cwying! The cel is awesome in person. 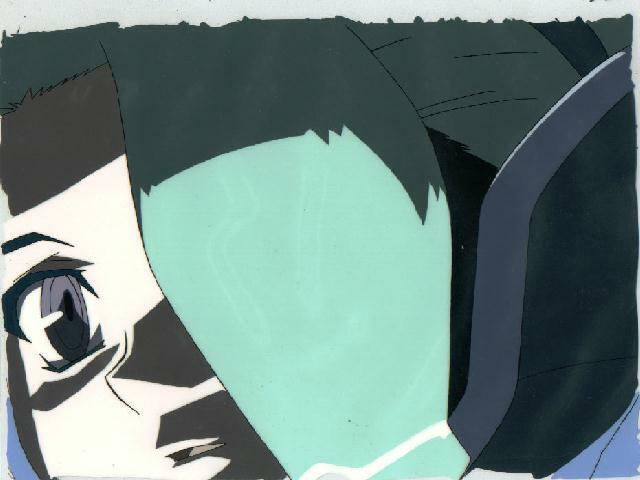 The image almost fills the entire cel! Two layers, and an unstuck non-matching sketch. 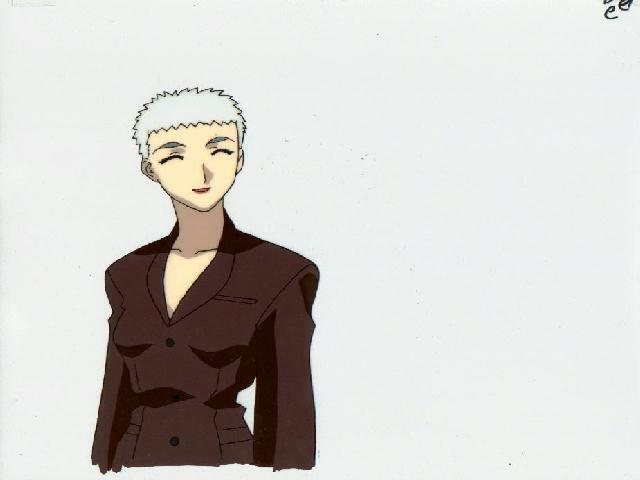 YAYOI - 2 Layered cel of everyone's favortie teacher...er...except Mitsuki! 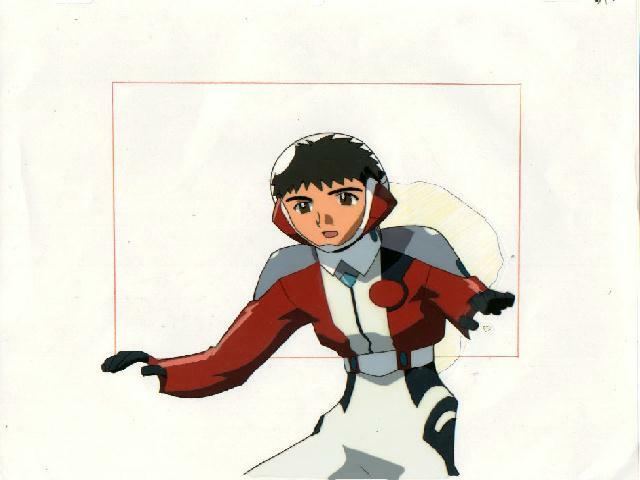 KAZUKI - Ooh, look, Kazuki in his big boy pilot suit. 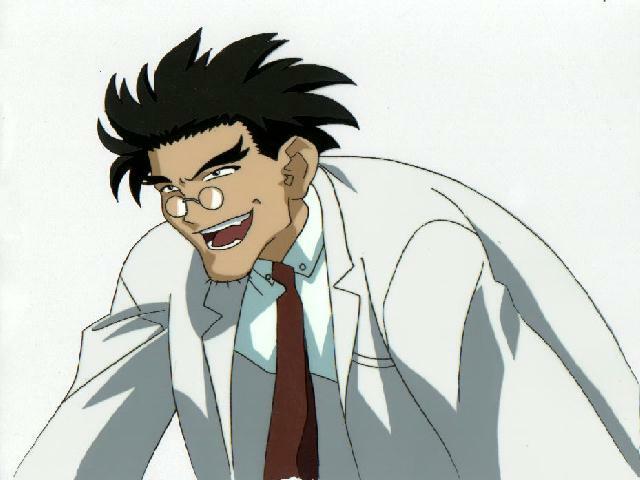 DR. SANADA - A great cel of Dr Sanada. This cel is just screaming "Mad Doctor"!